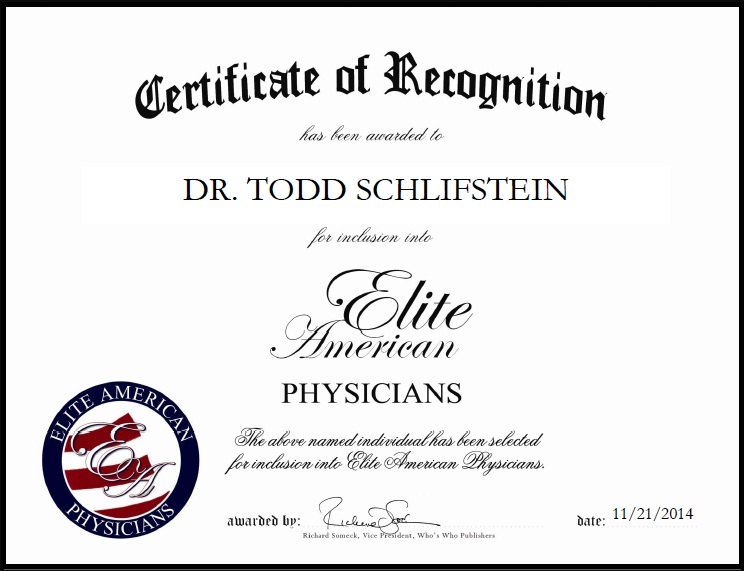 New York, NY, February 13, 2015, Dr. Todd Schlifstein, DO, Founder and Partner of the Fountain Medical Group, has been recognized by Elite American Physicians for dedication, achievements and leadership in sports, spine and pain rehabilitation. 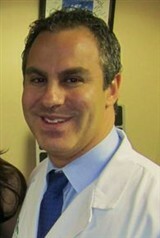 For more than 15 years, Dr. Schlifstein has been making a name for himself in his field of practice. Specializing in sports, spine and pain rehabilitation, and in viscosupplementation injections for osteoarthritis, Dr. Schlifstein, a medical professional who has been volunteering at Long Beach Memorial Hospital since he was 12, attributes his success to always trying to be better than he was the day before. Dr. Schlifstein is a speaker and consultant for more than 12 pharmaceutical companies. He is regularly featured as a medical expert on a variety of topics for top media outlets including New York Times, New York Daily News, New York Post,US News and World Report, Washington Post, LA Times, CBS News, NBC News, ABC News, CNN, CNN Headlines News, Fox News, Discover Channel, MAXIM Magazine- Ask Dr. MAXIM, Men’s Athletic Quarterly, Sports Illustrated, Good Morning America, The Today Show , ESPN, ESPN Cold Pizza, WebMD and many more. Dr. Schlifstein has testified for the United States Congress, House Reform Committee, as a medical expert on steroids and other performance enhancing products in 2005. Dr. Schlifstein has many published research studies on sports medicine and pain management in the Archives of Physical Medicine and Rehabilitation and Clinical Journal of Sports Medicine. He is one of the leading experts in the country on performance enhancing drugs in sports, and speaks all over the country. Below is a picture of Dr. Schlifstein testifying at the United States Congress, House Reform Committee, on February 12, 2008 about performance enhancing drugs in professional sports. This entry was posted in Pain Management, Sports Medicine and tagged medical research, rehabilitation, spine and neck injuries. Bookmark the permalink.